Skincare is something that’s really changed for me this past year. One thing I’ve learnt after reading MORE than a few skincare reviews is that it’s what works for you. I haven’t got perfect skin, it’s a bit dry, it’s dull in places and it could do with trying out pretty much every single skincare product, which mentions that it ‘boosts your skins radiance’! 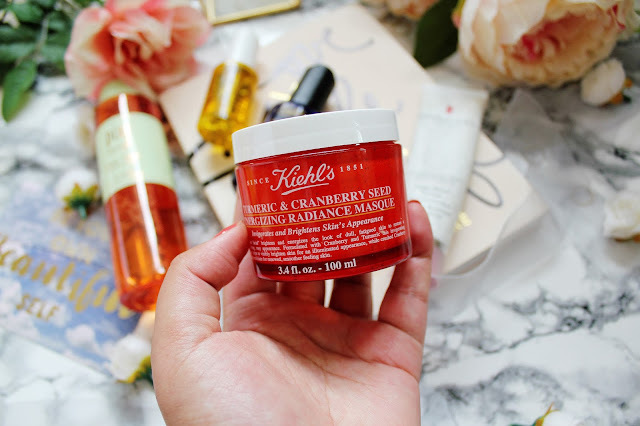 But I think I have found a balance of what works for me, this includes brands such as Kiehls, Elizabeth Arden and Petra by Pixi. 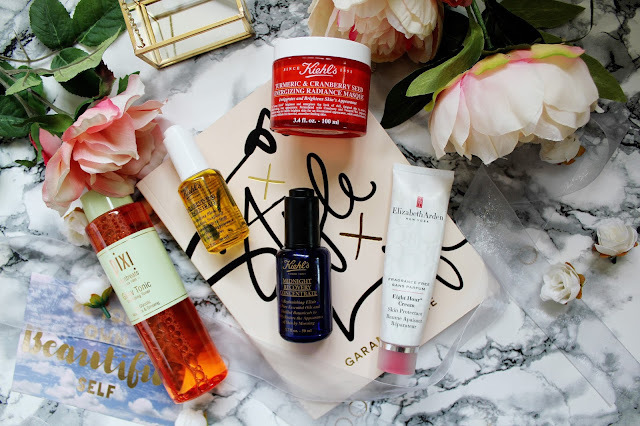 So for todays post, I thought I’d share the 5 skincare products that I really couldn’t live without and in fact, they’re products I am going to repurchase (or have repurchased) over and over again. 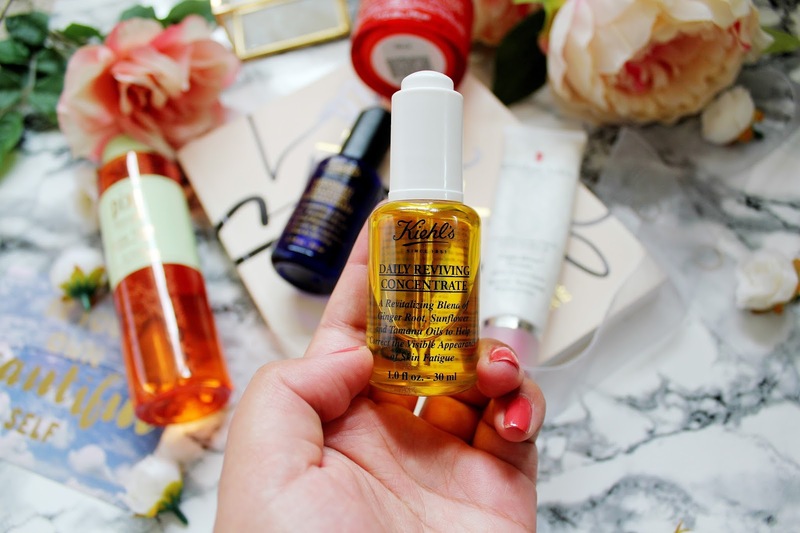 The first thing I do every morning (aside from getting out of bed/brushing my teeth/brushing my hair etc) is to use my Kiehls Daily Reviving Concentrate. 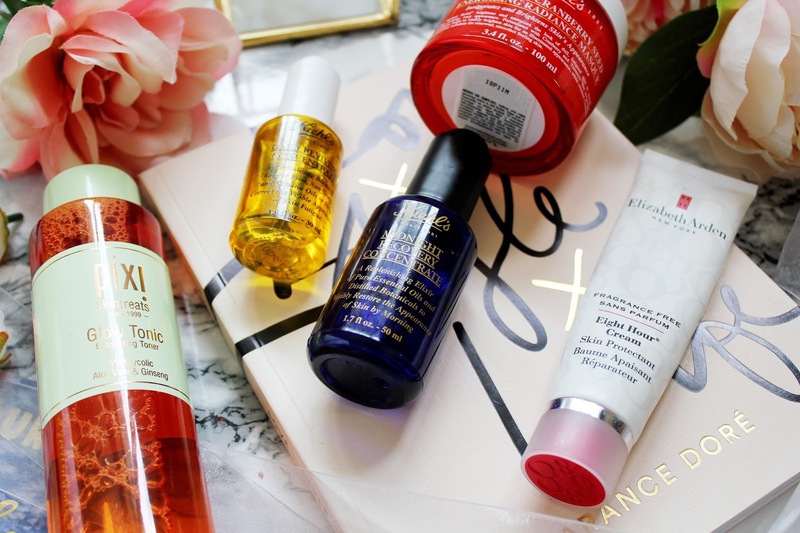 So you’re probably thinking, what’s the benefit of using this oil on my face twice a day? There is A LOT. It helps strengthen your skins’ against daily aggressors, is made from a blend of Ginger, Ginger root and sunflower. I find that a lot of this oil goes a long way. I only use one drop of the facial oil so this lasts literally for SO long! Another product I adore from Kiehls is the midnight recovery concentrate. 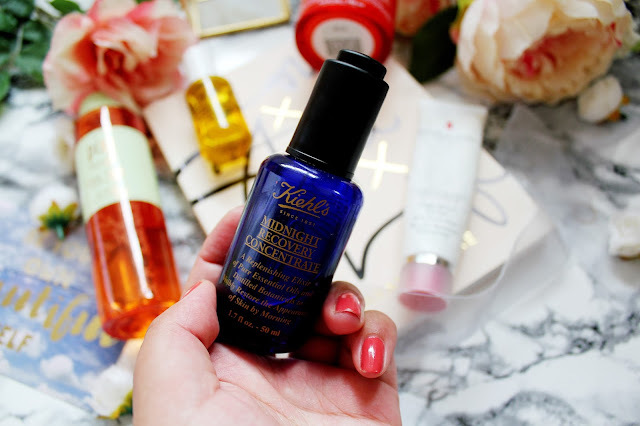 I use this oil every night without fail once I’ve removed my makeup. This helps replenish any lost moisture in my skin, and leaves my skin feeling fresh, looking more radiant and feeling more plump too. The oil is formulated with lavender oil, primrose oil and Kiehls signature ingredient, squalane. 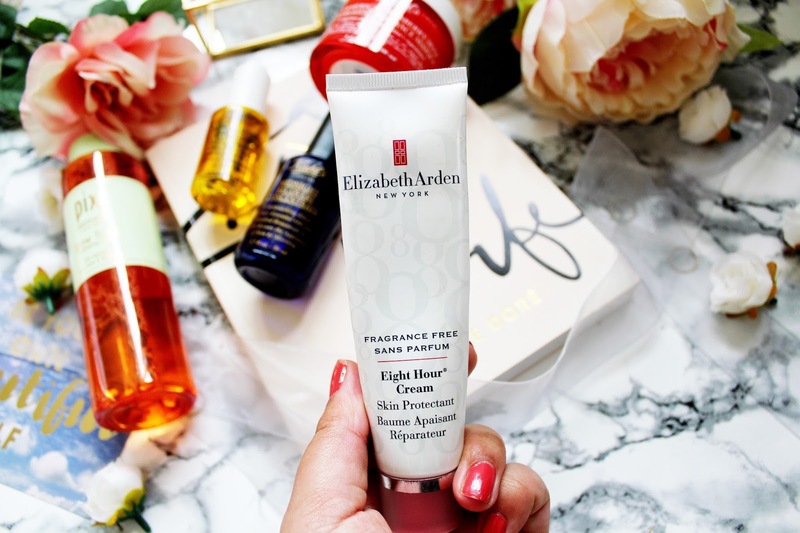 This cream from Elizabeth Arden I think is seriously underrated in the beauty blogging world. It’s a multi-use cream (you can find out all about the uses here) which can help you in pretty much any situation. This cream I use on dry skin, chaffing, dry lips, nails and it even helps remove waterproof mascara. 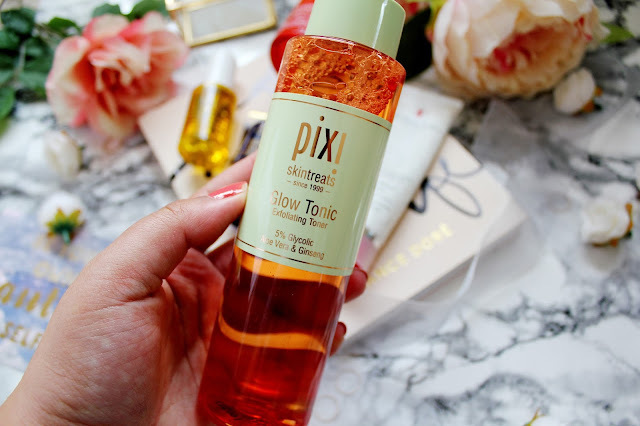 Lastly, the product, which I have used as long as I can remember (okay so maybe not that long but a good 2-3 years), the Pixi Glow Tonic. I’m onto my third bottle of this now as that’s how much I like using this. I use the glow tonic about twice a week as a toner to get rid of any extra dirt on my skin. Enriched with 5% glycolic acid, this tonic helps to exfoliate my skin and boost blood flow to achieve a more dewy and brightened appearance. So I bet you’re wondering, what products do I HAVE to buy from this post? If I could narrow it down to two (I’d say the glow tonic and the turmeric face mask) however, all these products are absolutely incredible. Have you tried any of these products? Do you have any skincare recommendations?